I wrote this book to help real estate investors think through how to increase their monthly cash flow today. 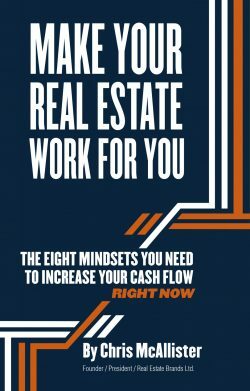 This book is composed of just eight short chapters, one for each of the eight mindsets that make up The Make Real Estate Work™ Mindset Scorecard. Each chapter discusses the statements that illustrate each mindset. As you work through each mindset, your brain will naturally come up with things you can do in your business today to increase your cash flow. Each of the eight mindsets relates to the other seven in one way or another. The beauty of the mindset scorecard approach to cash flow is that any improvement in one mindset will positively impact the others. Every real estate investor who reads this book will find themselves somewhere on the scorecard. Scoring yourself the first time will take 10 minutes or so of deep thinking. Reading this book will take less than an hour the first time through. Regardless of how you score yourself today, you can use the information in this book to get to the ultimate goal of making your real estate work for you, instead of the other way around. Please complete this form in order to receive your copy of the Eight Mindsets Scorecard book. -Chris McAllister, Founder & President, ROOST Real Estate Co.